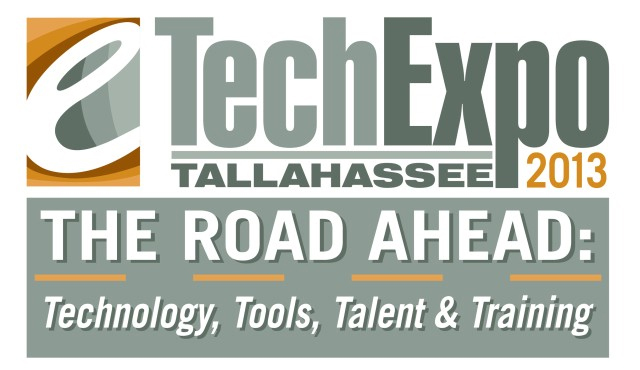 Florida State University art student MANDEM (Studio Art MFA ’15) was a featured speaker and exhibitor at the Tallahassee TechExpo 2013, which was hosted at the Turnbull Conference Center on May 9 by the Tallahassee Technology (TalTech) Alliance and the American Society of Training and Development (ASTD). The conference was attended by about 200 regional professionals and students. In keeping with the conference theme of ”The Road Ahead: Technology, Tools, Talent & Training,” MANDEM’s TechTalk discussed the impact digital art tools are having on the world of fine art and what these technology trends could mean for the next generation of artists. MANDEM also demonstrated how their own transdigital art is created using a combination of traditional and digital painting methods. 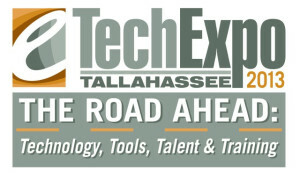 Learn more about the annual TechExpo at http://www.taltechexpo.com/techexpo. MANDEM’s TechTalk presentation from this event will be archived on the artist’s website at http://www.MythpunkArt.com.